It's another Monday! Are you excited to start this new week or are you feeling weary? My prayer for you this morning is that the Lord will grant you divine strength for this new week in Jesus' name. This week's post is an opportunity for you to reflect on why you pray to God. Recently, God told me that one of the prayers that I had prayed to Him was prayed out of my normal Christian routine. God told me that my prayer was not from a heart that wanted an answer. Isn't God amazing? The fact that God knows the depth of our hearts and the purpose of why we do every single thing that we do. God reminded me that it was crucial for me to pray to Him with a mindset that He will answer my prayers. God's word says that: when a Christian prays, the prayer of a Christian can produce wonderful results (James 5:16 Paraphrased). Back to you readers, I have a couple of questions to ask you. Is praying to God part of your daily Christian routine? Do you sometimes pray to God without thinking whether God will answer you or not? or have you just proposed in your heart that as a Christian, you must pray? 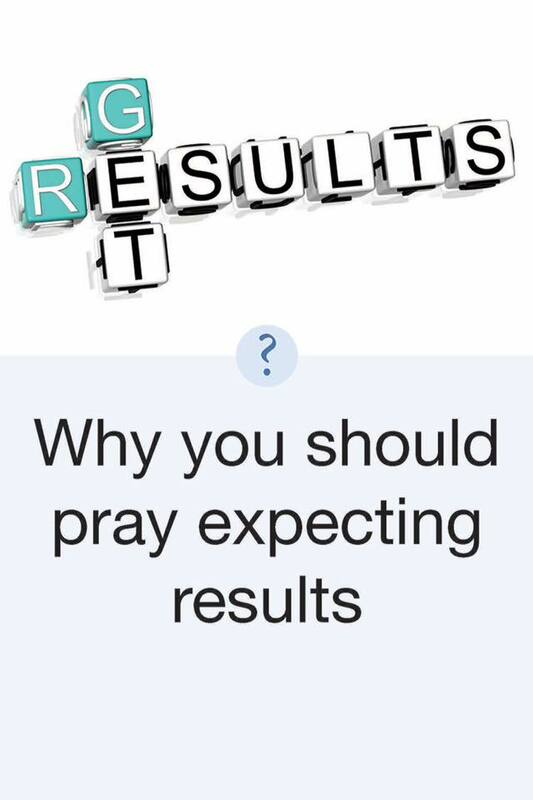 Check out how David ended his prayer?- "Wait in expectation". David prayed with a mindset that God heard Him and he waited in eager expectation for the manifestation of his requests. There's a story in the bible in which church folks had gathered to pray for a man named Peter to be released from prison, whilst they were still praying, God had answered their prayers. God had sent an angel to rescue Peter from the prison. After Peter was rescued by the angel, he immediately went to visit his church folks, upon his arrival, a girl named Rhoda met him at the gate, she was in awe when she saw Peter, she ran in and announced that Peter was by the gate. ----The church folks didn't believe, in fact they said it was Peter's angel that Rhoda must have seen. This story is a reminder that there were believers from the time of Jesus Christ that did not always have immediate expectations of God answering their prayers (Acts 12:5-17). 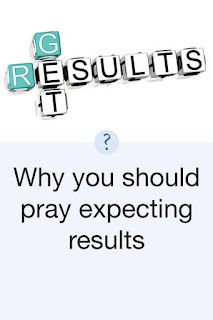 When you pray and you can't fathom how God will answer your prayers instantly, believe God and expects to see results as when a Christian prays, great things happen. 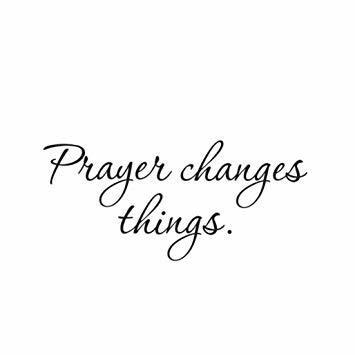 Do you normally pray the same prayers until you see physical manifestations? Or do you wait in expectation for the answer without repeating the prayer points? Enjoy your new week! See you next Monday. Thank you for your comment. It's a good thing that you are keeping track of what God is doing in your life. Communication is back and forth, never one way, and prayer is communication. Not necessarily ‘yes’, but we must always expect a response all the same. Whether we utter words or pray in tongues, we must do so in Faith, that the Father has heard us. Thanks for the reminder. That's a very good point that "we must always expect a response all the same" regardless of what the answer is. Thank you for your comment. Thanks very much Myss Lafunky for your enlightenment on the this crucial topic.Generally, it does not happen in the lived of the Christian folks alone,it cuts across all facets of religious communities. Everyone is eager to have answers to their prayer petitions. Where answers are not forth coming one becomes agitated by wanting God to do something immediately. Hence one looks for alternative means.If we as God created beings believe that what HE mentioned in Jeremiah 29verse11 is in our minds.We will apply Psalm 46 verses 10&11.His purposes will surely come to Physical Manifestation in Jesus mighty name. Amen. Our God is Good all the time,HIS Mercy Endureth for Ever.Praise God.Shalom dear.